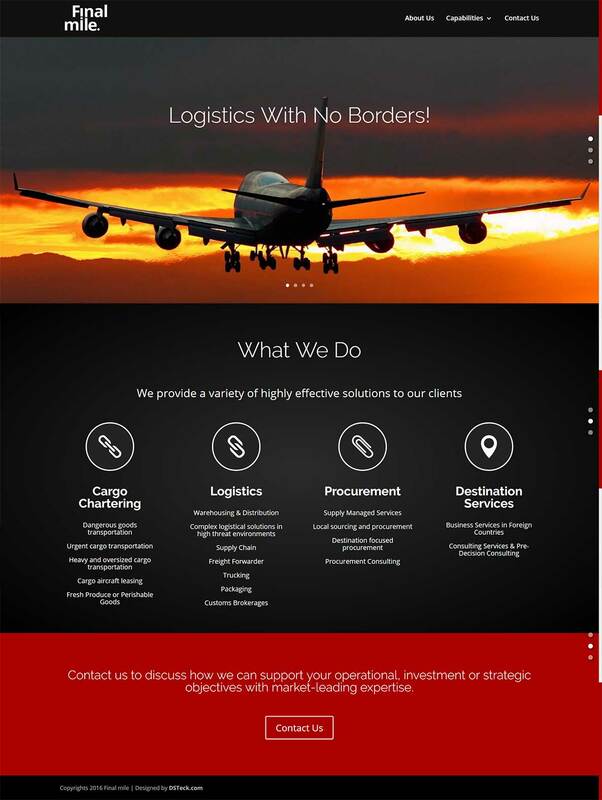 We are excited to announce the launch of Final Mile Logistics – Jordan Website Finalmile.me , The Total Logistics and Chartering Solutions. Finalmile.me offers a wide range of International shipping, Chartering and Destination Services to various ports worldwide. 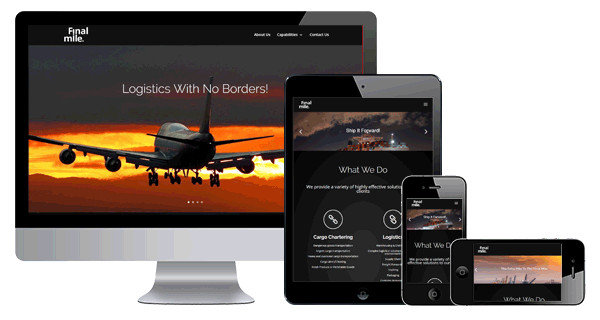 The online presence of Final Mile Logistics will enable the company to be reached by potential customers all around the globe, and provide a great and professional impression to visitors. The website is a fantastic example of the art of simplicity and right-to-the-point content, including a fully responsive capability for different screen sizes and platforms.